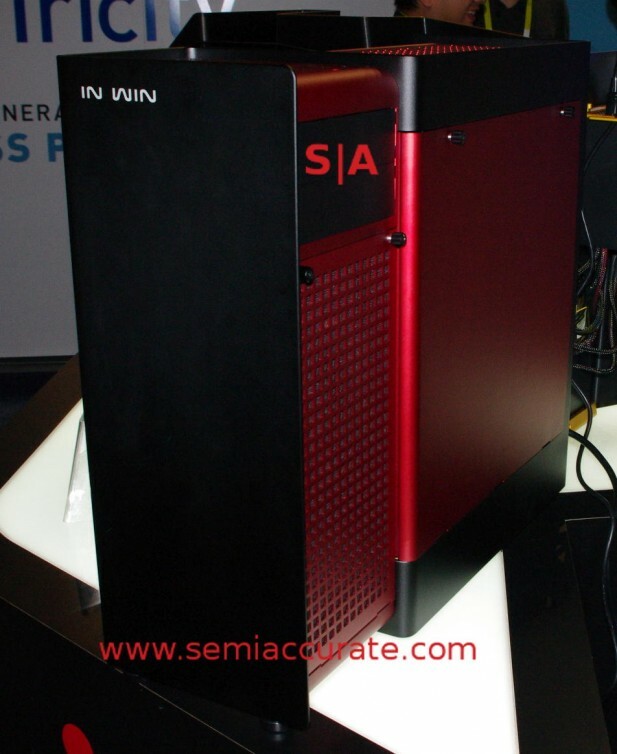 Inwin was showing off a lot of goodies at CES and as usual SemiAccurate guessed high on the prices. That is the long way of saying their products looks better than you think, they are all very nice. First off we have a minor color variant of the S-Frame case from Computex. This new one is called the S-Frame Gold because instead of being black and red, it is black and, have you guessed yet, yes gold. The usual caveats apply, it looks really good, it is really expensive, and two color anodization is still a really hard thing to pull off. They pulled it off and the result is gorgeous. 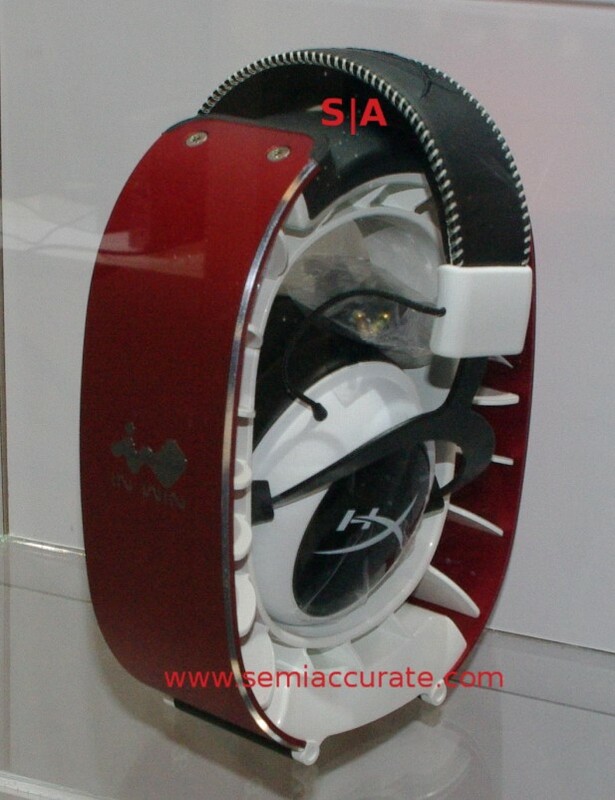 On the side of the new S-Frame Gold is a production iEar stick on headphone holder. It is a little suction cup that you press on, twist, and it sticks. They are in production now and retail for about $15, this is one product I guessed much higher on price. It will stick to almost any flat surface and I had one until my wife saw it and now it is hers. SIGH. 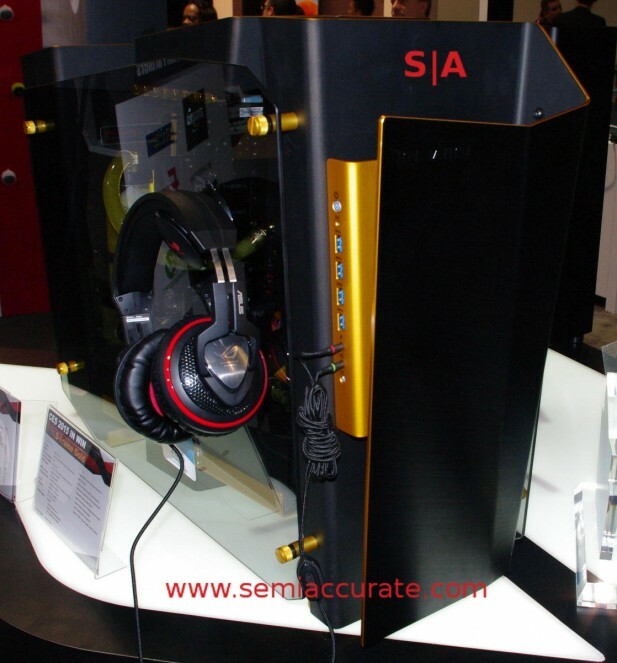 One new case at CES was the S-Box, the smaller brother to the S-Frame. Actually it is not smaller just cheaper and less complex. Instead of 15 bends to make it, the S-Box is much simpler and more like the S that its name suggests. There is only one color anodization per panel but it looks like more because of clever assembly. It is made for water cooling and will take a 360mm radiator on top, a 240 on the front, and a 120 in back. Inwin is aiming for Q2 production but as of now there is no MSRP.